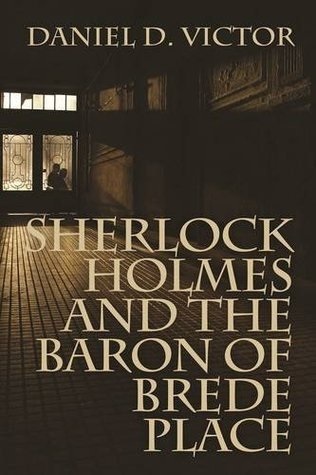 This is volume two in this series paring Holmes with various American authors. This novel is the retelling of “The Adventure of Charles Augustus Milverton,” Doyle’s twisted blackmailer. The story is expanded and with a slightly diffident ending. Yet in the end, we are just as unsure as to who killed Milverton as we were in the original short story! Holmes is alerted that American author Stephen Crane has become a victim of the constantly smirking Milverton. Since Holmes is acting for Lady Eva, he already is bracing to meet Milverton to talk terms. Not only is Milverton totally unwilling to show mercy, he demonstrates that he will go to any lengths to “get my money!” as he puts it. The character of the twisted blackmailer, already known to be dark and pitiless, is shown to be even more of a devil than any reader already knows! The book is packed with action and drama! The characters are well developed and the pacing is superb! I found it a bit ironic that I enjoyed this novel so well. I never liked anything Stephen Crane wrote and resented having to read him in school. In this book, Crane is an excellent character! Physically sick and somewhat morally challenged, one can sympathize with Crane as Milverton presses the issue. Daniel Victor, kudos for making a hated American author into a character worth reading!